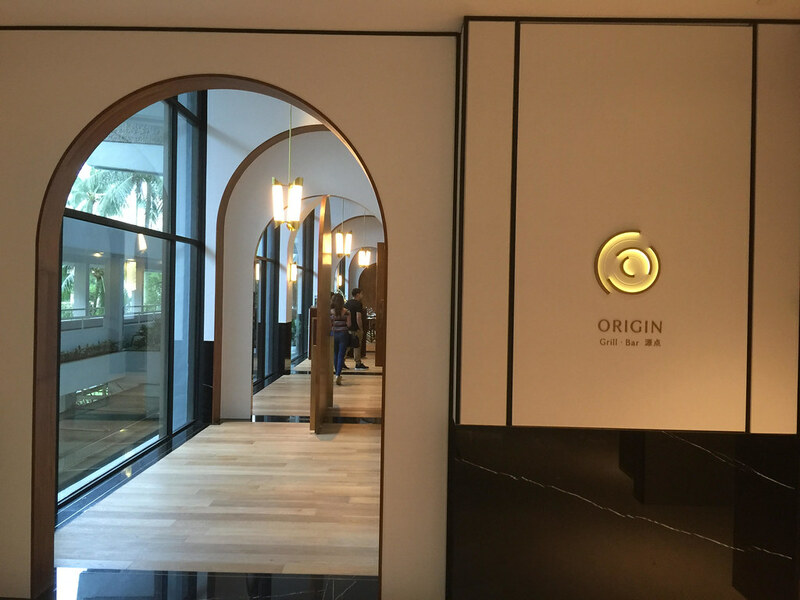 A new addition to Shangri-La Hotel Singapore is Origin Grill & Bar, located at the lobby level. Stepping into the new restaurant, one will feel like being teleport into a nostalgia train with a romantic charm. I was given a glimpse of the menu starting with the Chilled Potato with Eggplant Jelly and Caviar. 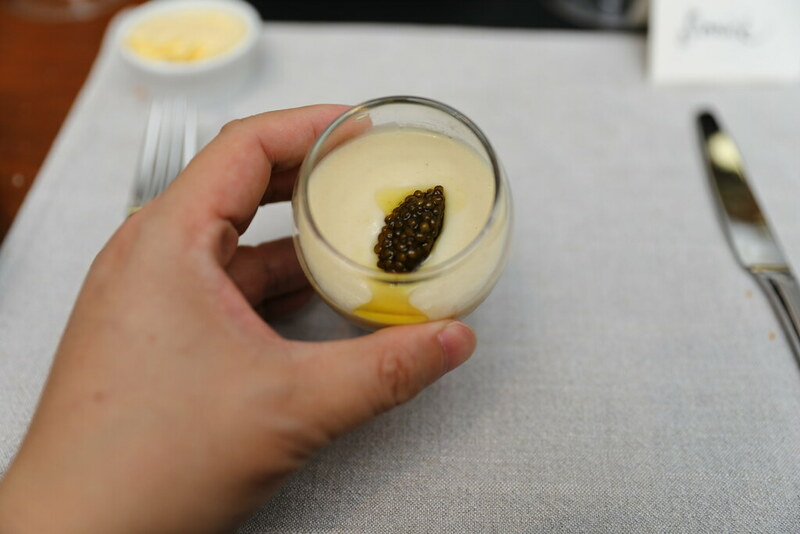 The chilled potato married with the eggplant jelly, felt like cloud on my palate.The mousse-like texture of the chilled potato is perked up by the saltiness of the accompanying caviar. From the grilled seafood section, I had the Grilled Prawns which has been grilled with orange for a subtle fruity sweetness. It comes with fennel and baby green beans, black olives and carrot hummus. 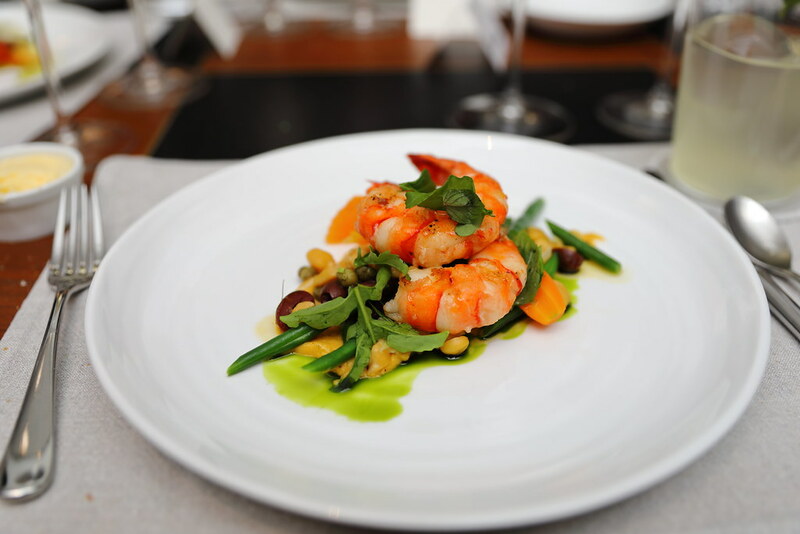 I enjoyed the grilled prawn for its bouncy texture and natural sweetness. 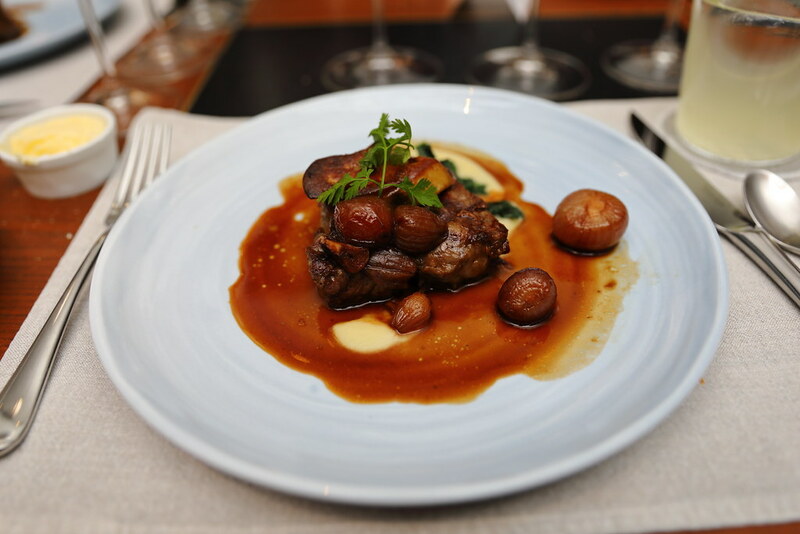 While I didn't get to try the Snow-aged Wagyu from Niigata Japan, I am as content with the Rangers Valley Black Market Marble Score 5+ Sirloin which is grilled to perfection, topped with a huge piece of foie gras and dressed in shallot jus. The grain-fed beef with its high score of marbling, is bursting with rich flavour. The buttered spinach at the side is a welcome accompaniment to balance the richness. 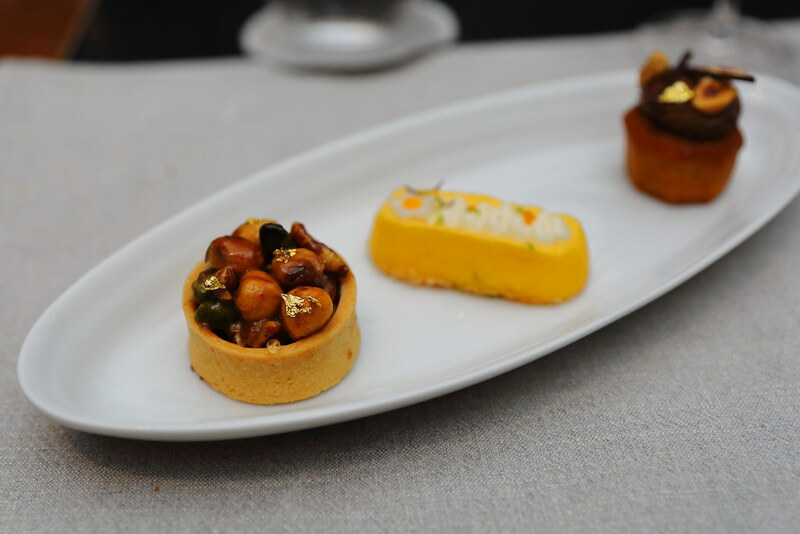 Besides the different grill dishes from the land and sea, not to be missed at Origin is their desserts and daily selection of cakes. 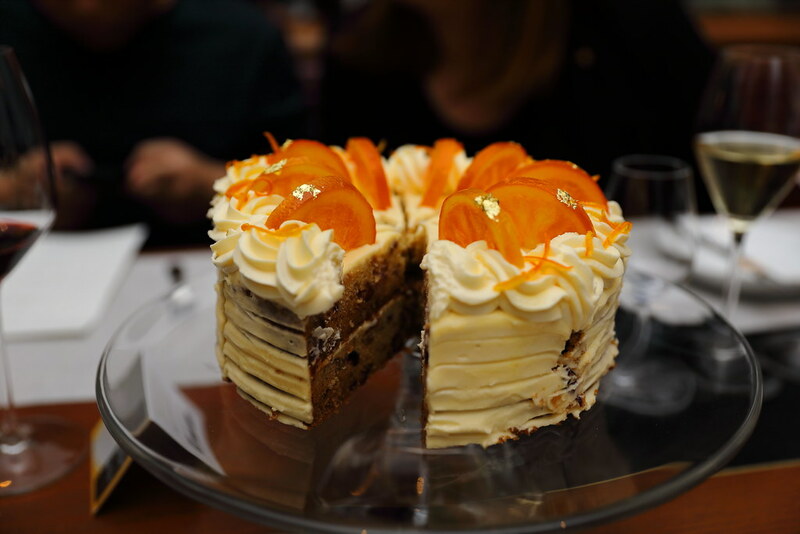 I would recommend saving some space for dessert to wrap up your dinner experience at Origin Grill on a sweet note. 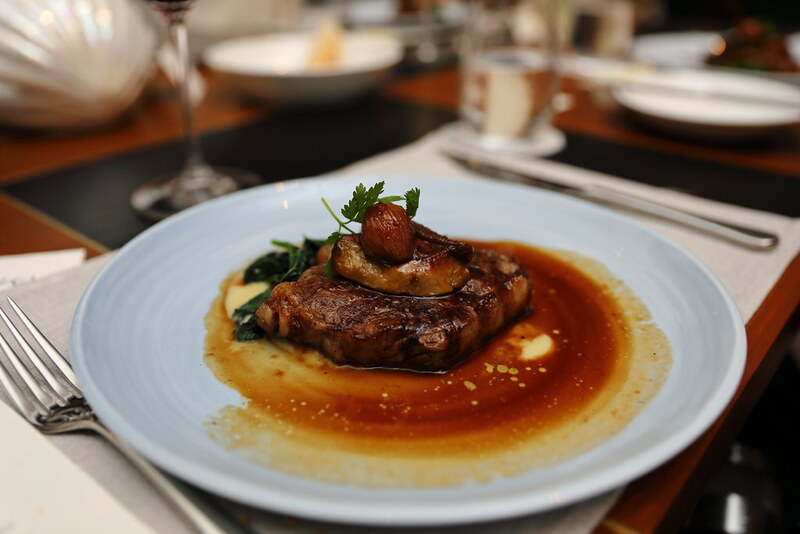 If you are a beef lover, you will be glad to know that both the Shiro Kin wagyu and the snow-aged full-blood wagyu are exclusively available at Origin Grill. I have heard of dry-aged but snow-aged is something new. It is a natural refrigeration process using snow storage or a yukimuro. This centuries-old aging process maintains a consistent internal temperature between 0 to 5 degrees Celsius, in spite of external weather conditions, in a state called seichi, which causes the meat to keep more than 90 per cent humidity and, thus, achieve better ripening and retention of freshness.